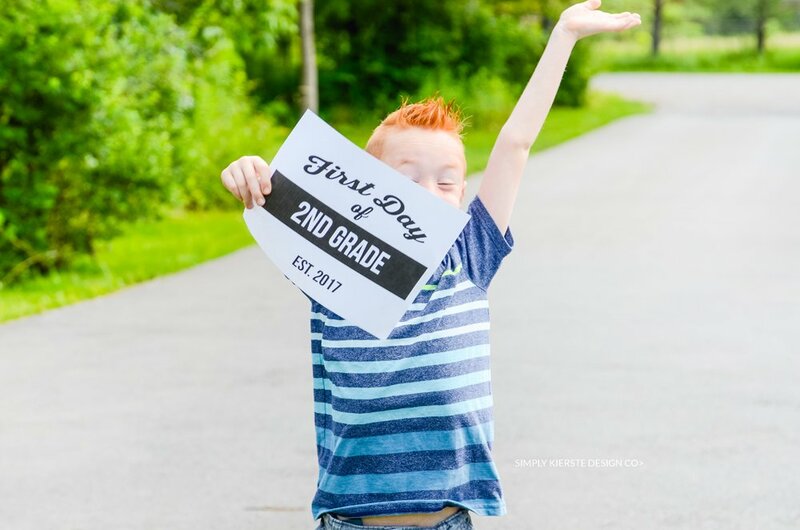 First Day of School Printable Signs: Updated Each Year! I was talking with a friend yesterday, and when she mentioned that they only have one week of summer left, it took me by surprise. We’ve only been out of school for two weeks, so I’m barely in full summer mode. 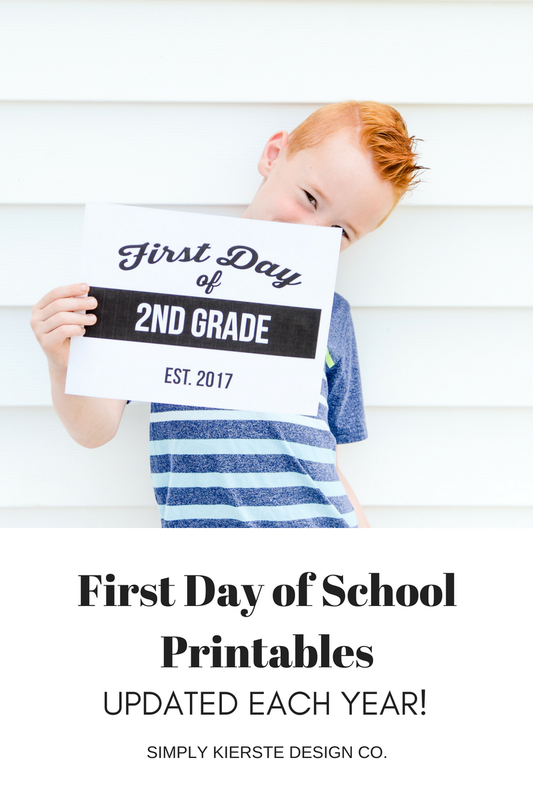 Then I realized many of you will probably be going back to school in the next month or so, and thought I’d better get going on these darling First Day of School Printable Signs, so they’d be ready in time! 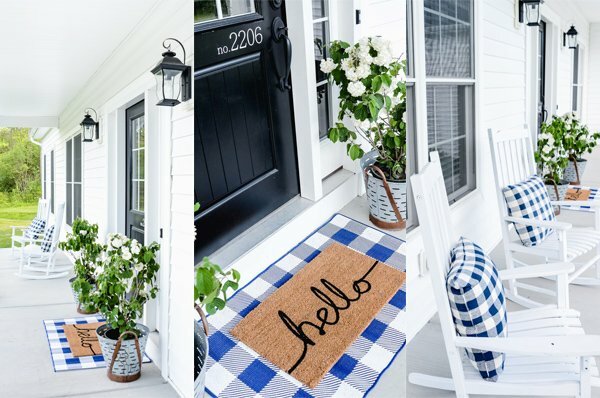 I love these signs…they’re an easy and fun way to capture a milestone for years to come. I LOVE the first day of school. It’s such a fun time of year, and I can just smell the freshly sharpened pencils. I’m always sad to say goodbye to my kids all day, but I’m also always ready to get back to a regular routine and structure. Plus, it’s the beginning of fall, my absolute favorite season! You would all laugh if I showed you some of the outtakes from this photo shoot. He was not thrilled about holding up a back to school sign so soon into summer, but I bribed him an O’ Henry Bar. It totally worked. :) That’s the way it goes at our house! 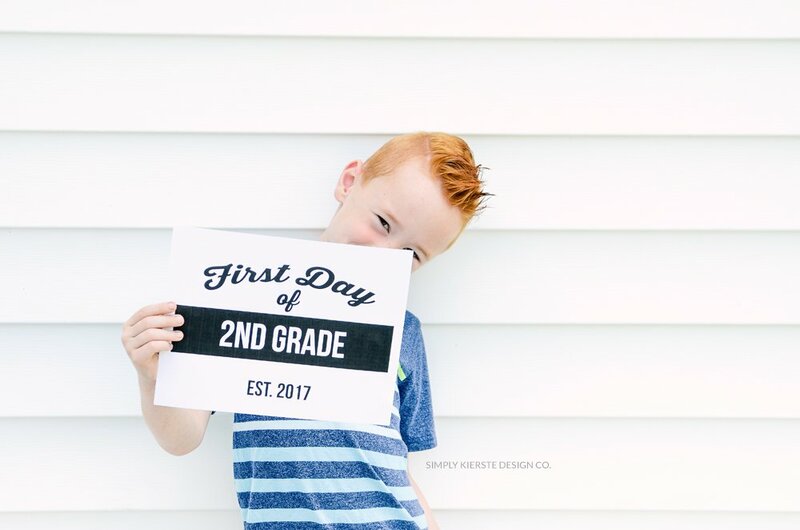 I’ve got all the grades, preschool through 12th grade, plus a pre-k and college in case you need them. I snuck the college one in there, just in case you have a child that age that will still pose for you! It takes just minutes to get these ready to go. All you need to do is click on any of the links below, save to your computer, then print on to white cardstock. Super easy. Super cute! You can even frame it if you want to–a black frame would be adorable! 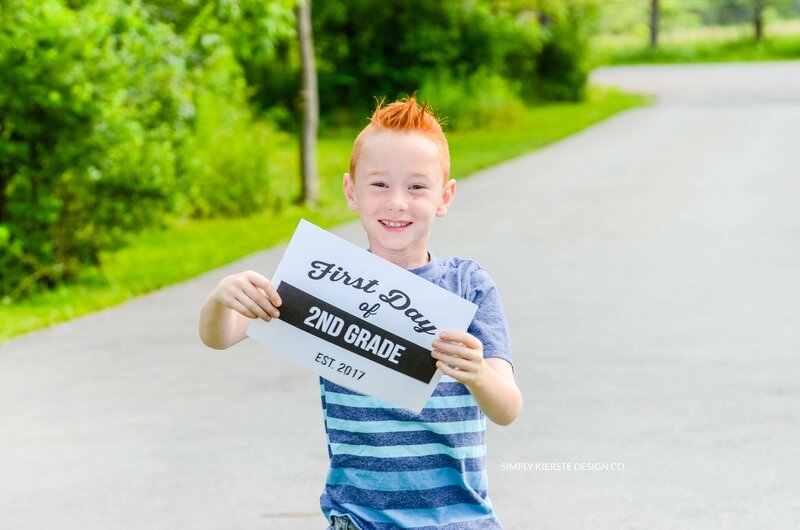 You may also like some of my other back-to-school ideas! Love these! I’ll be using on in my 2nd grade classroom! Using “one” in my classroom… I cannot type on my phone! I’m saving this and forward ing it, too!